Service Performed by Rainbow Lopez, M.A., N.T.P. The Hair Tissue Mineral Analysis Review and Interpretation of Results (for Profile 1, Profile 2 or Profile 3) is a 50 minute phone consultation that is designed to give you a clear understanding of the significance of each essential mineral, mineral ratio and toxic element indicated in your hair analysis report. Please Note: This service is only available if you have already purchased the Hair Analysis test performed by Trace Elements, Inc. through us. If you haven't and you would like to purchase the Hair Tissue Mineral Analysis first or together with the consult, please click here. Your report will be reviewed by Rainbow Lopez, MA, NTP, who is a certified Nutritional Therapy Practitioner (through the Nutritional Therapy Association, Inc.) and has been certified and trained personally by Dr. Rick Malter, Ph.D., in the interpretation of the Trace Elements hair analysis reports. Dr. Malter is a leading expert in hair tissue mineral analysis and author of the book The Strands of Health: A Guide to Understanding Hair Mineral Analysis. Rainbow will explain how the results of your test may be affecting your stress and energy levels, and the importance of each essential mineral, mineral ratio and toxic ratio. The hair tissue mineral analysis (HTMA) is an accurate laboratory test that reflects how nutrient minerals relate to your stress reactions and your energy production. The patterns of nutrient minerals that are shown in an HTMA can be read like a mineral map revealing how a person may be functioning physically and mentally. The Trace Elements report outlines if you are a fast or slow metabolizer. Rainbow can help you understand the significance of your metabolic rate and what may be affecting it. She will also help you determine what lifestyle changes, dietary changes and nutritional supplements specific to you would help support good health, energy, and vitality. Following your phone consultation with Rainbow, she will recap the main points that were covered and send you a detailed 3-6 page written summary (via email) that outlines the indications according to metabolic type, stress ratio, heavy metal sensitivity, blood sugar ratio, and endocrine gland ratios, etc. To view a Hair Interpretation Summary, please click here. In addition to the Personalized Review of your Hair Mineral Analysis Report, Rainbow also offers a Nutritional Therapy Consultation tailored to your specific health needs. This is a 50 minute phone consultation that is well worth your time if you are willing to make changes in your lifestyle that will make the biggest differences in how you feel and function in your daily life. For more information, please click here. 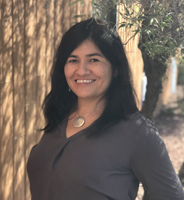 If you would like to book a consult with Rainbow, please contact our office at 520-877-2637 for her contact details or email us by clicking here. For a full bio of Rainbow, please click here.